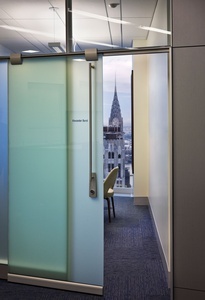 The Durst Organization relocated their headquarters to the two of the top floors of the One Bryant Park's Platinum-LEED skyscraper. A coordinated, historically-themed “green” art program was developed in concert with the sustainable interior design. 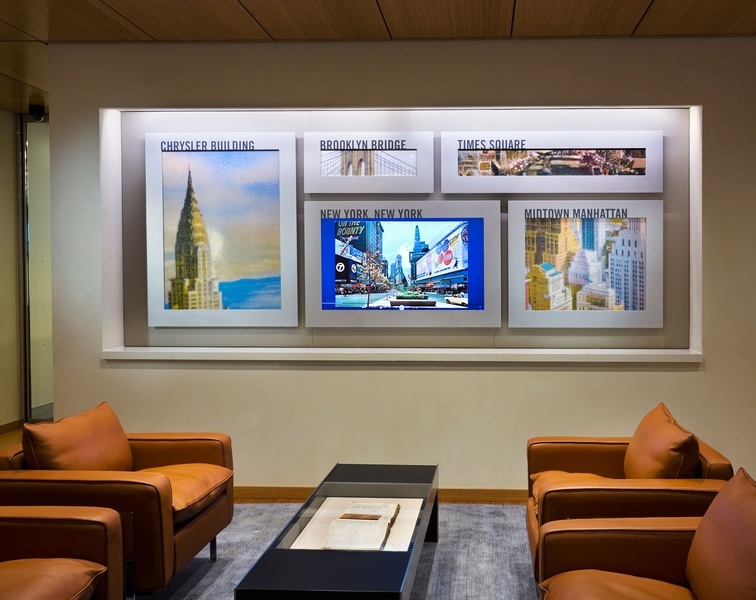 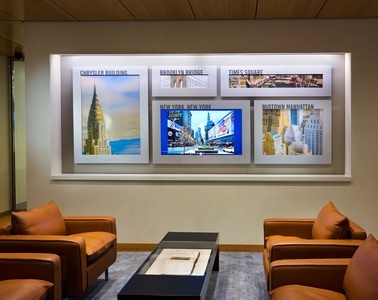 The new reception area features a short video of Seymour Durst’s historic postcard collection, enlargements of cards depicting nearby urban landmarks, and a coffee table that displays a ledger from the organization’s founding year.The core walls of each floor are wrapped with murals of Durst properties printed on 100% recycled fabric and aluminum. 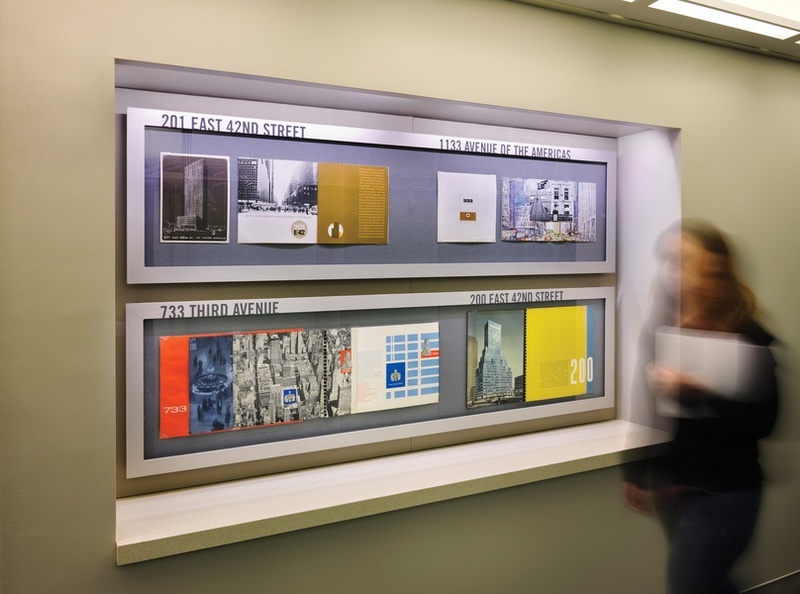 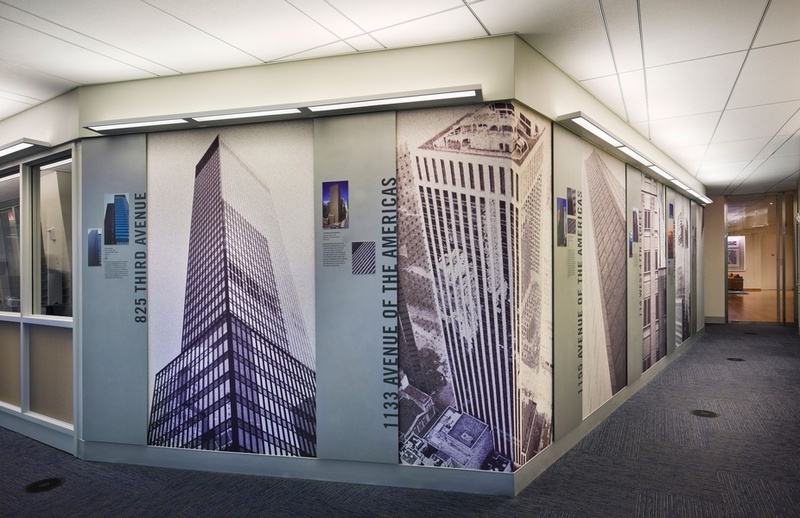 Other murals feature the firm’s architectural models, historic 1950s-era marketing brochures, and numerous awards.